In celebration of this update, B27 and MildMania have created an all-new “Save Christmas, Save the World” trailer for Darklings that can be viewed on the official MildMania YouTube channel, at http://youtu.be/E6Vgwpu3_gk. 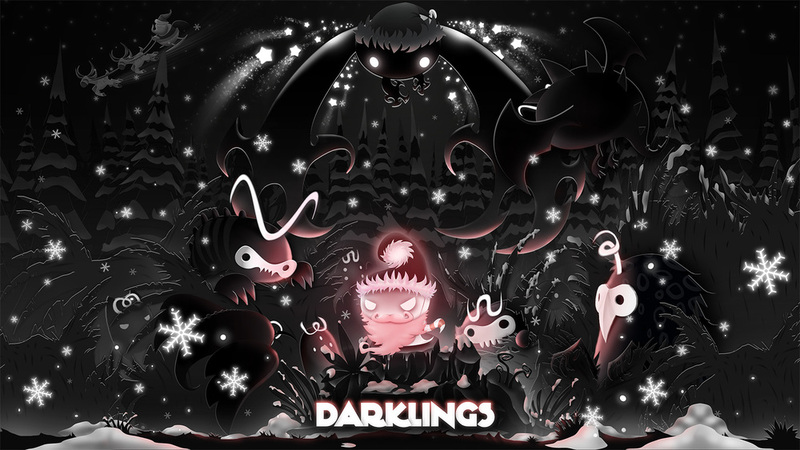 Darklings is an epic, endless adventure through magical worlds, where the player experiences unique, gesture-driven gameplay blended with unique noire artwork. It promises to carry touch-based gaming to a whole new level. Join Lum in and purge the Darklings. Save the stars Christmas, save the world. Darkness is coming! You are the only hope! Darklings is available on the Apple App Store for $0.99, and is compatible with the Apple iPhone, iPad, and iPod touch. Darklings requires iOS 5.0 or later.